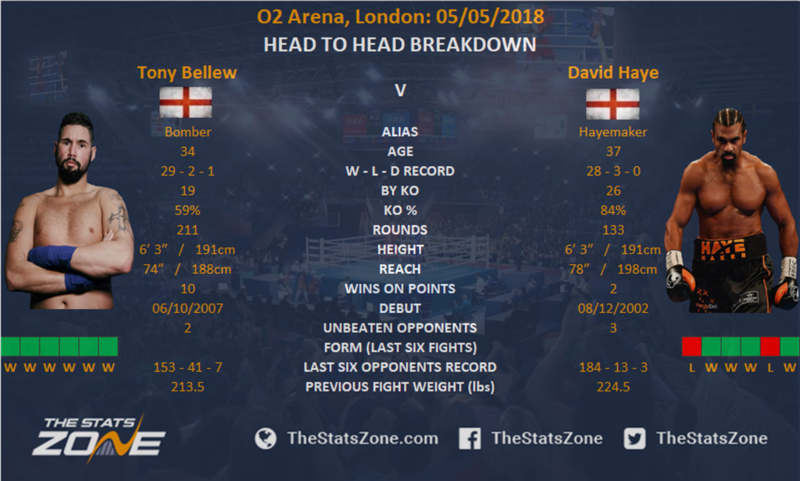 Liverpool’s Tony Bellew takes on Londoner David Haye in a rematch that the British public had been hoping for ever since the conclusion of their previous fight on the 4th of March 2017 at London’s 02 Arena. Bellew – at the time the WBC World Cruiserweight champion – piled on the pounds to face Haye at heavyweight in a genuine grudge match where both fighters have sincere dislike for one another. For a bout where no title was on the line, the public bought into their hatred and tuned in to watch a British classic that unfolded to be a story that few would have predicted, with the Londoner snapping his Achilles tendon midway through the fight resulting in the unlikeliest of victories for the ‘Bomber’. With the Bomber stepping up to the heavyweight division from cruiserweight for the first time in his career, the advantage was, and perhaps still is, in the Haymaker’s favour. Haye of course made his way up to heavyweight from cruiserweight after unifying the belts in November 2008 and it has regularly been touted that Haye is not a natural heavyweight himself. Nevertheless, Haye weighed in (224.5 pounds) 11 pounds heavier than Bellew (213.5) - Haye’s second heaviest weight since stepping up to the division - suggesting he went in with the mind-set and tactics that he would blow Bellew away during the early rounds. This is further justified when addressing Haye’s style which speaks for itself. From his 31 professional bouts he has amassed an explosive 86% KO ratio (26 KOs) compared to Bellew’s 59% (19 KOs). By the Bombers own admissions, he always finds a way to win even if it’s not impressive and that is exactly what he did. Haye is one of the most successful fighters in modern British boxing history and his explosive style and brash character has always made him entertaining. However, since his loss to Wladimir Klitschko in his attempt to unify the heavyweight belts in 2011, Haye has pulled out of two scheduled fights with Tyson Fury due to injury, which was subsequently followed by three and a half years out of the ring. His comeback saw him match up against lesser opponents, resulting in easy KO victories, but his most recent loss against a cruiserweight when his body so frantically let him down once again genuinely proposes this could be the last fight of his career. Nevertheless, Haye has always been one for the big occasion having fought in seven world title fights (three cruiserweight and four heavyweight), winning six and losing two with an average seventh round win. 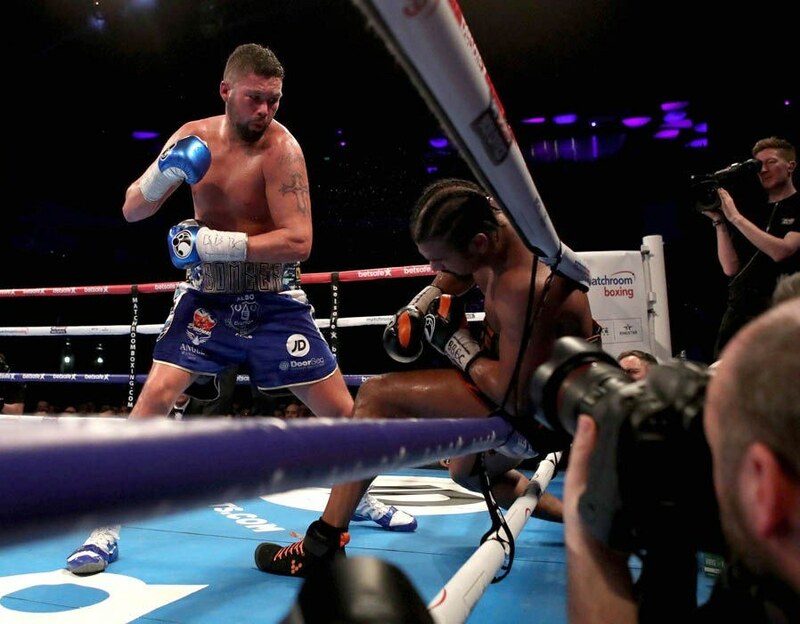 Only twice was he been taken the full 12 rounds – against two of the biggest men in boxing – perhaps showing why he was so confident that he would KO Bellew, a seemingly small opponent compared to some of his previous foes. Bellew on the other hand has been in just four world title fights, suffering defeats in his first two attempts before finally claiming the WBC belt at his home town football club’s stadium, Goodison Park. 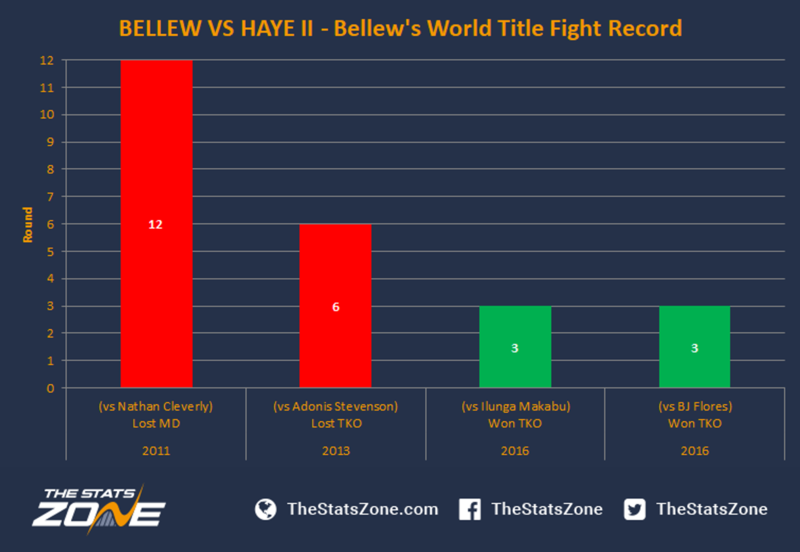 Although the bouts against Haye aren’t for titles, they are still Bellew’s biggest fights to date in terms of purse and exposure, hence the reason he has vacated his world title after just one defence. The payday for Bellew is arguably more important than trying to unify the cruiserweight division. Haye has recorded 22 of his 26 KO victories during or before the fifth round, with the other four all coming during or before the ninth. He has only won twice on points during his whole career, which could have been one of the main reasons Bellew believed the longer the fight lasted, the greater chance he had of winning. 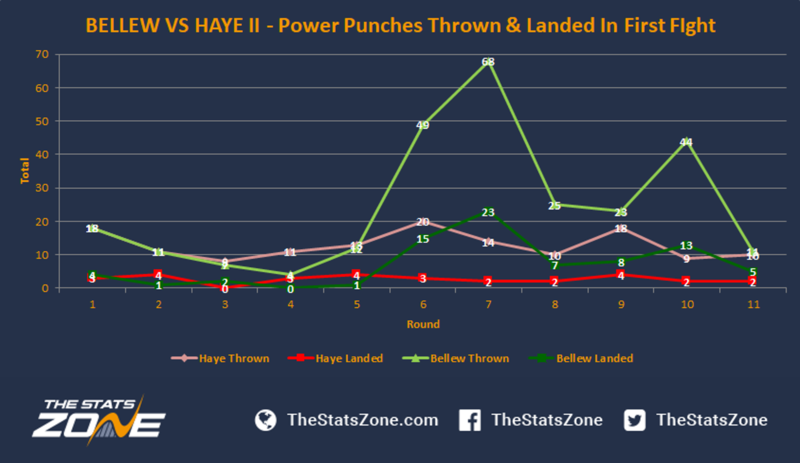 Haye’s explosive power is as good as any boxer before him, but this style and athleticism during the latter stages of his career – taking into account all the serious injuries he has had - could be his biggest downfall yet again. 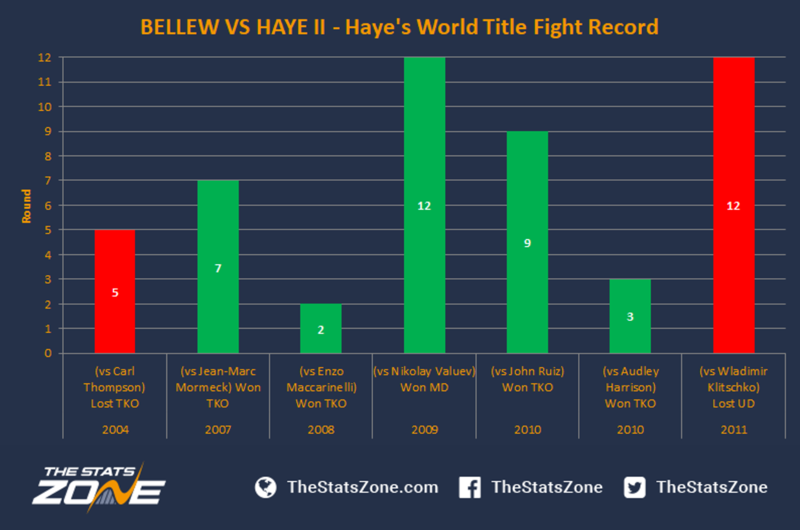 Bellew on the contrary has had to win on points on 10 occasions throughout his career. Furthermore, he has managed at least one KO victory in each round except the sixth and seventh, showing he finds different way to win and is comfortable going deep into a fight, something that proved to be decisive in the first encounter. 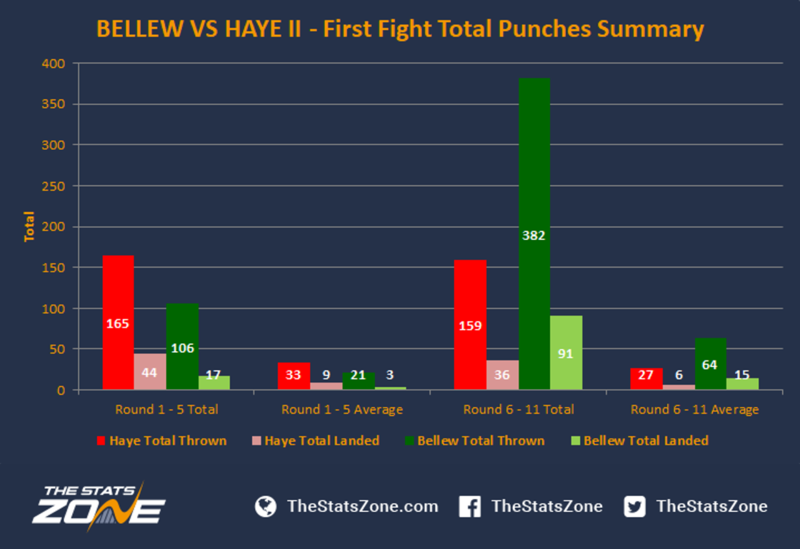 Haye sustained the fight changing injury during the sixth round that completely changed the dynamic of the fight, resulting in very little threatening attack from the Hayemaker and a bombardment of punches from Bellew. 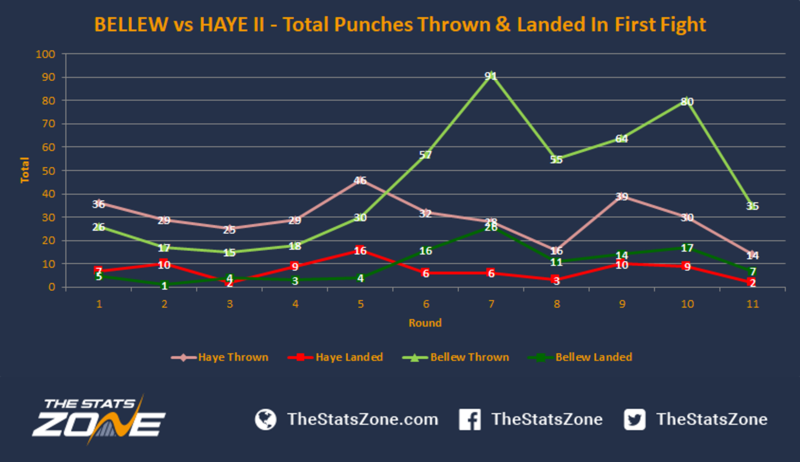 Before Haye’s injury, the Londoner threw 50 and landed 21 more jabs than Bellew, on average landing six per round compared to two from the Liverpudlian. 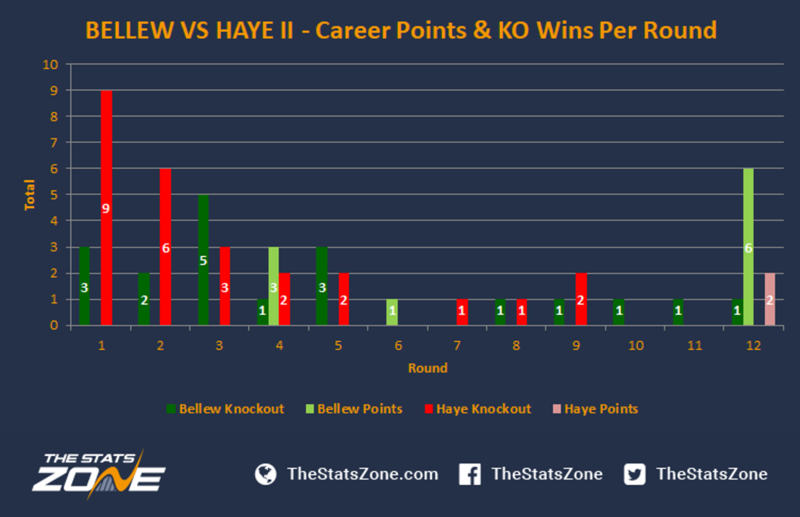 However, after the injury, Bellew threw (162) over double (78) what Haye could produce and although Haye was landing on average more (four) per round (three), the power and snap they lacked allowed Bellew to keep walking forward. Again, Haye started the fight as he always does, aiming to power his way through the opponent with explosive power punches. 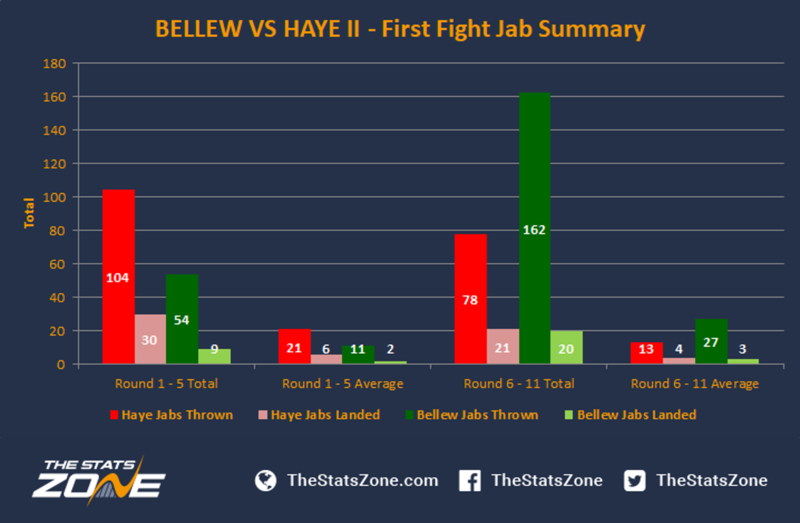 However, Bellew matched Haye and although both landed, neither caught one another clean enough to cause any real concerns. Once more, the injury completely changed the fight and Bellew went all out to try and KO Haye once he became a ‘sitting duck’. 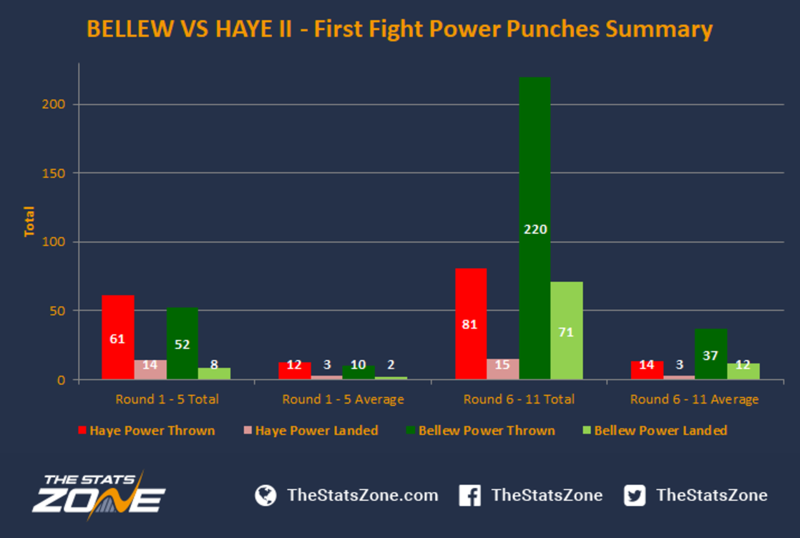 Bellew threw 37% more power punches from rounds six to 11, landing a staggering 71 (an average of 37 per round). 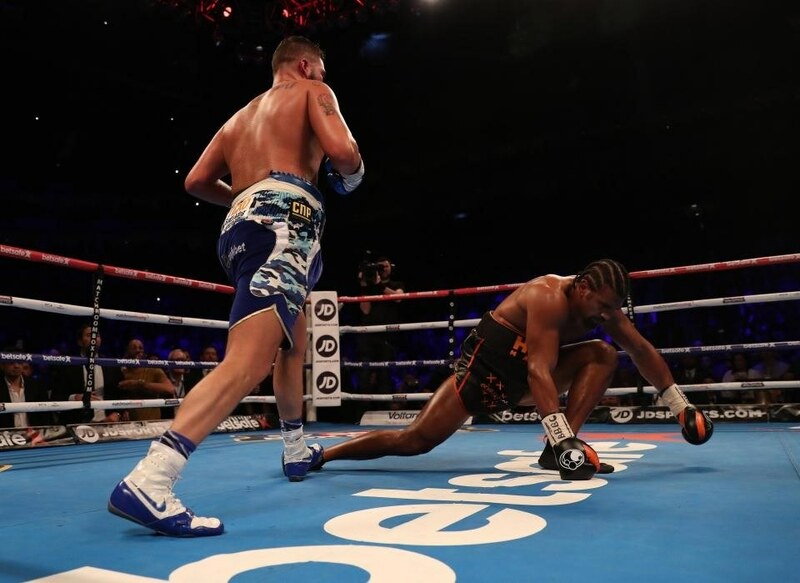 Nevertheless, Haye kept battling, throwing 81 himself and landing 14 with both trying to force the KO – unfortunately for Haye, the power generated by his right leg was non-existent and the result was only going one way from then on. 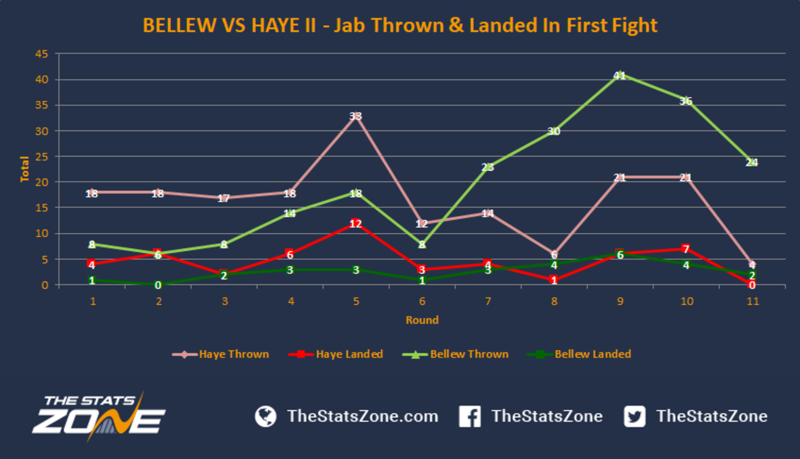 Significantly, for all that Bellew threw and landed on Haye, it still took him over five rounds to get the KO and even then it was Haye’s corner who threw the towel in, suggesting two noteworthy things; one, Haye’s conditioning was much better than many had predicted and two, Bellew does not possess the power truly required to take out Haye with one blow, something that may prove decisive in the rematch. In summary, the biggest factor that cannot be overlooked from the outcome of the first fight is the injury sustained to Haye. Without such a debilitating injury – that effectively left him with no ability to move or possess power in his punches – the outcome of the fight would likely to have been very different. The total punches thrown during the first five rounds and thrown afterwards perfectly demonstrate the impact this had on the fight. If Haye’s injury woes are behind him, there is expected to be only one result, and that is in favour of the Hayemaker. Nevertheless, just a win will not provide any clearer path to another world title fight, but a comprehensive KO victory will get the public supporting his route to a major bout with Joshua towards the end of 2018 perhaps. Punch stats obtained from CompuBox.